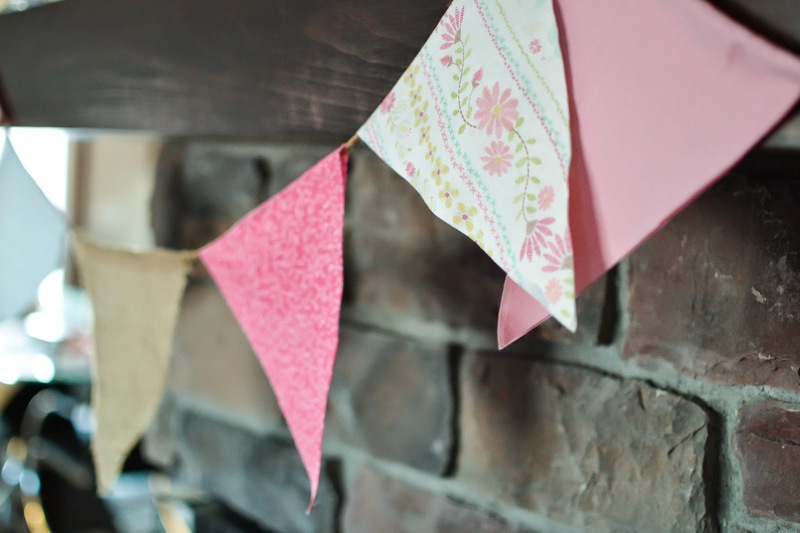 As many of you know I have been busy making decorations for Grace's First Birthday. Today I decided to set up the buffet table with all of the decorations I have made so far. I wanted to see how the table was taking shape. While looking at the table set-up something seemed to be missing. The long white tablecloth that hung down to the floor looked so plain. 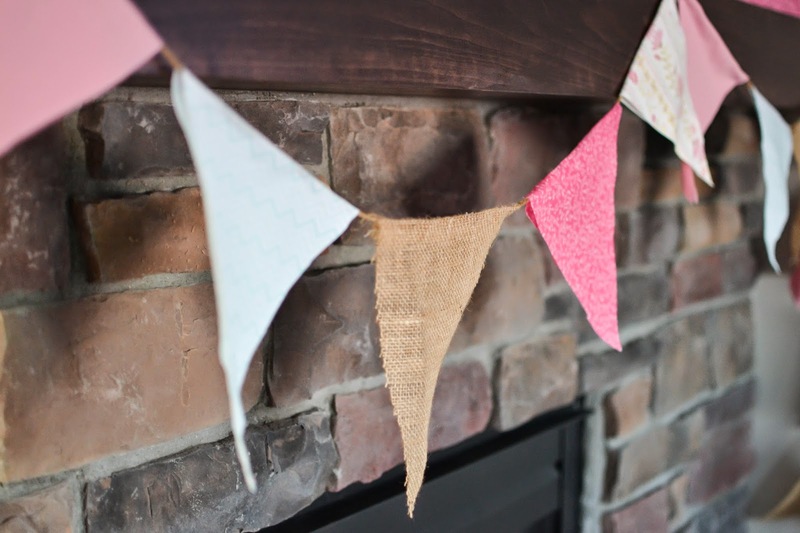 It needed a pop of color so I decided to make a fabric bunting. Confession: I absolutely hate using a sewing machine and avoid it at all costs. It is such a pain to take out and set up. I have to wind the bobbin, thread the needle, and every time I change colors I have to start all over again. Ugh! 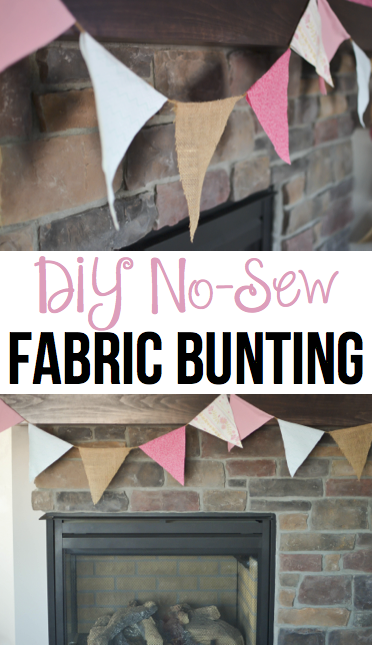 All of the directions I found to make a fabric banner involved a sewing machine. Not going to happen. 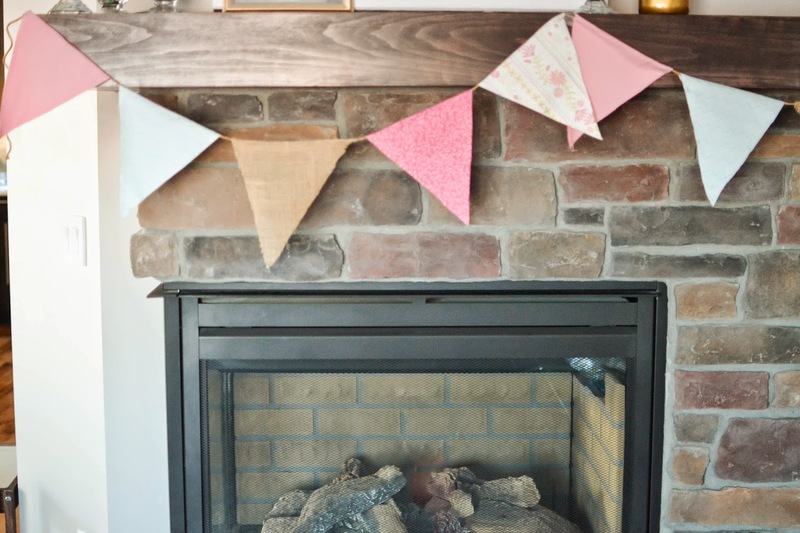 In only an hour I was able to create a 100" banner with just some scraps of fabric, some twine and my glue gun. I can't wait to use it at Grace's Birthday Party. 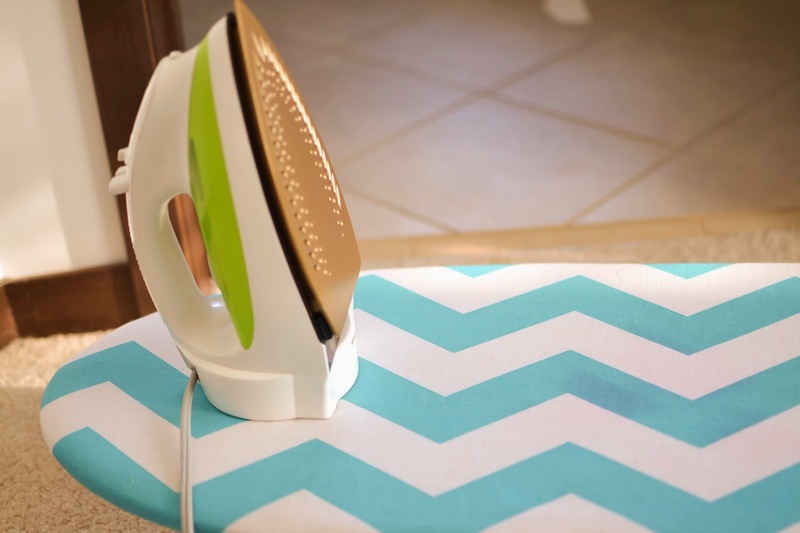 Start by ironing your fabric to diminish the wrinkles. This will make cutting out the fabric easier. Begin by folding your fabric in half. 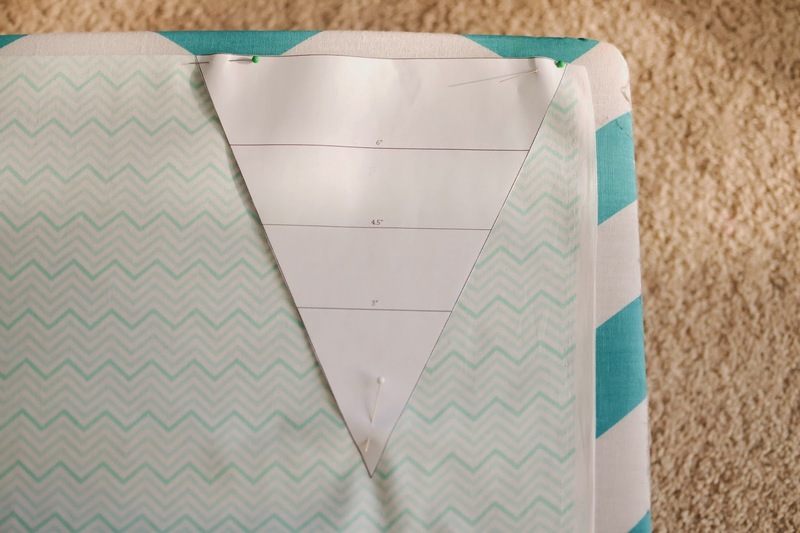 Place the top of the triangle along the fold of the fabric and pin in place. 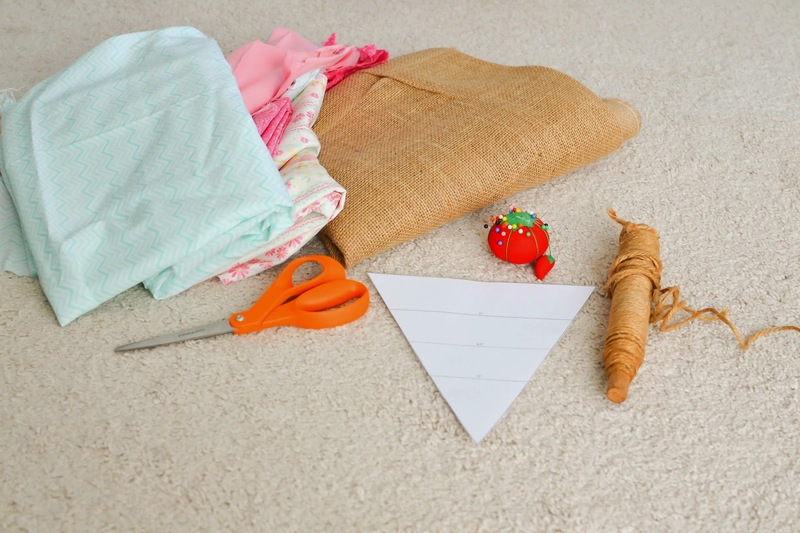 Cut out your fabric using a fabric scissors. 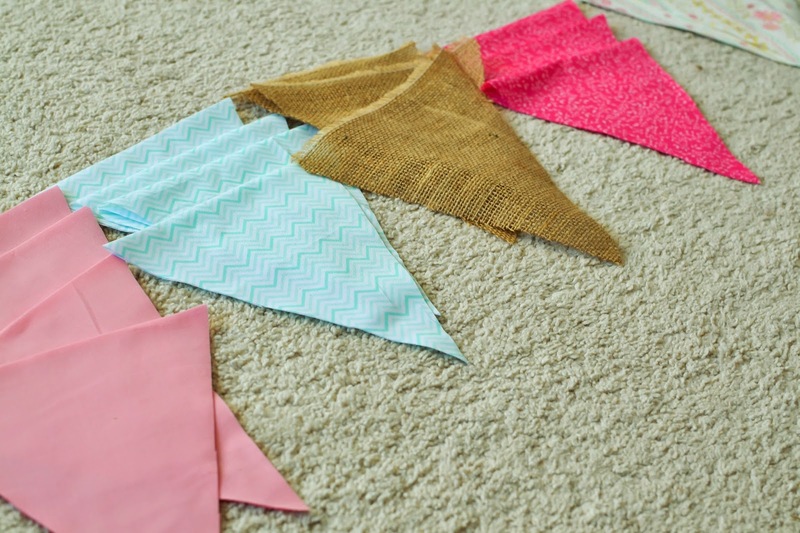 Continue to cut out all the triangles that you will need for your project. I used 5 different fabrics and cut 2 triangles out of each. This gave me enough triangles for a 100" banner. 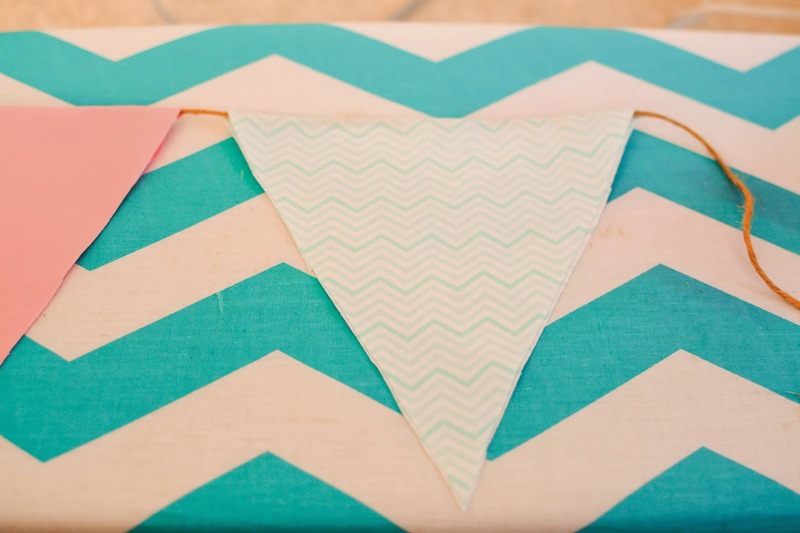 Layout your fabric triangles and experiment with the order of your fabrics until you like the pattern. Open the triangles you just cut out to create a diamond shape. Make sure that the wrong side of the fabric is facing towards you. 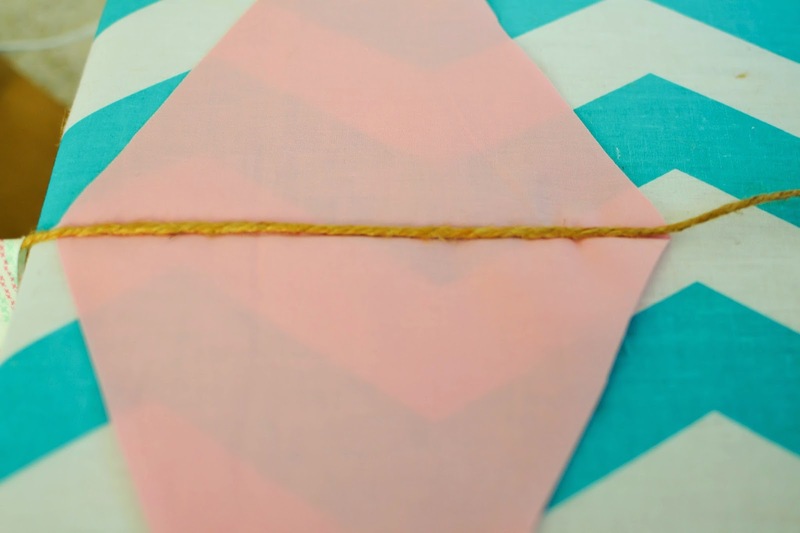 Place a thin bead of glue in the fold of the fabric. Lay twine on top of the glue making sure to leave enough excess on the ends to help hang the banner. 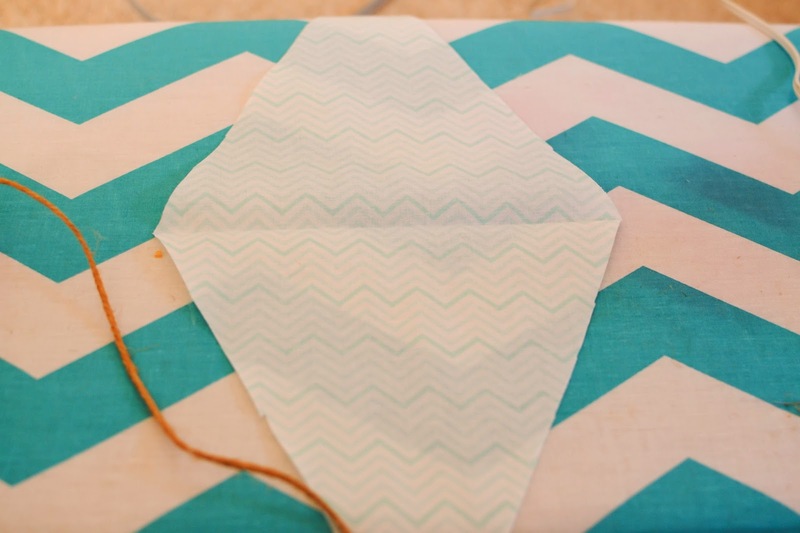 Fold the fabric over the twine and glue shut using very thin beads of glue along the sides inside the triangle. 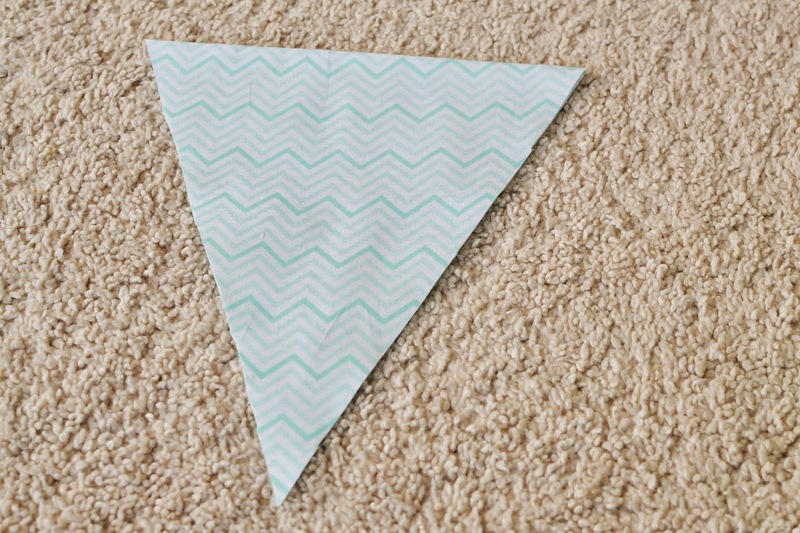 Continue placing fabric triangles about 1" from the previous until your banner reaches the desired length. When all the triangles are glued to the twine cut your twine leaving enough excess to help with the hanging on the banner. Then all that is left is to hang your banner and enjoy.